So, apparently I won a small award thingy? It was reported in the Irish Times in a single line, though, which is pretty cool. Paper of record, people! 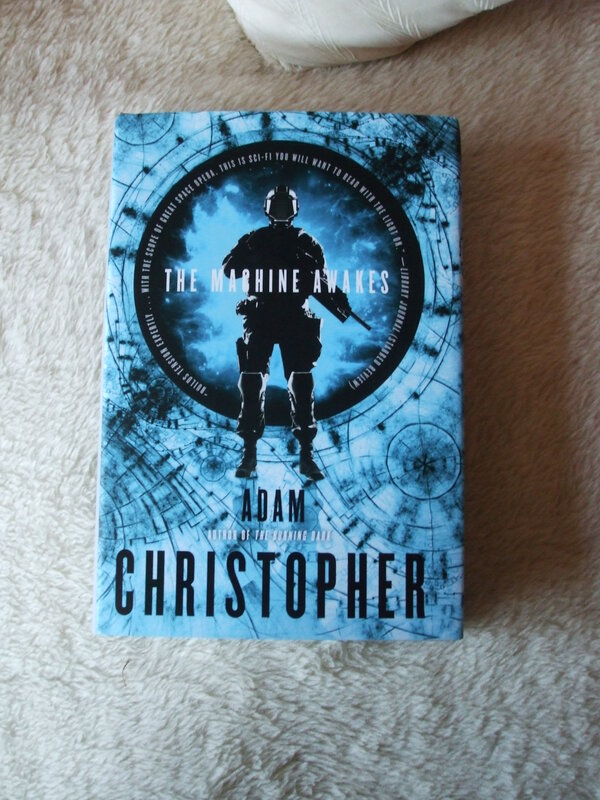 Courtesy of Tor Books, today’s review copy arrived is Adam Christopher’s THE MACHINE AWAKES. 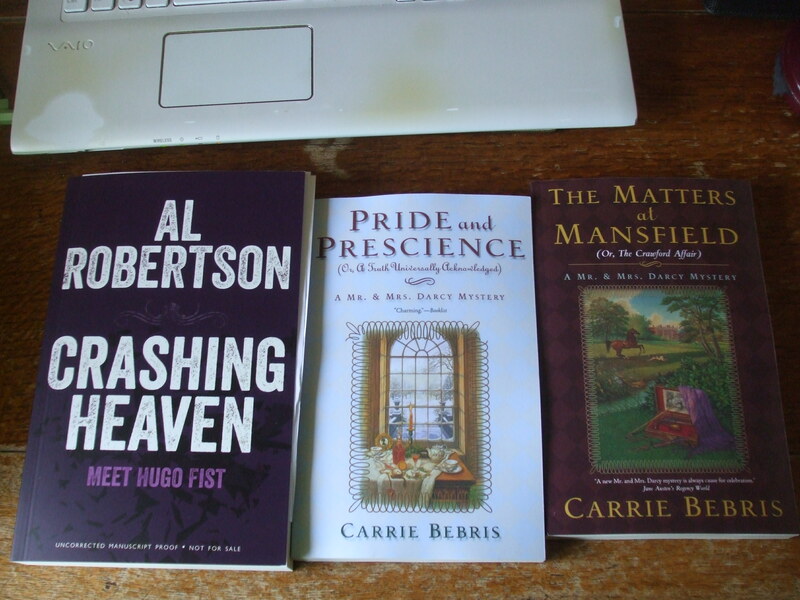 I’m never going to get caught up on all my reading, am I? 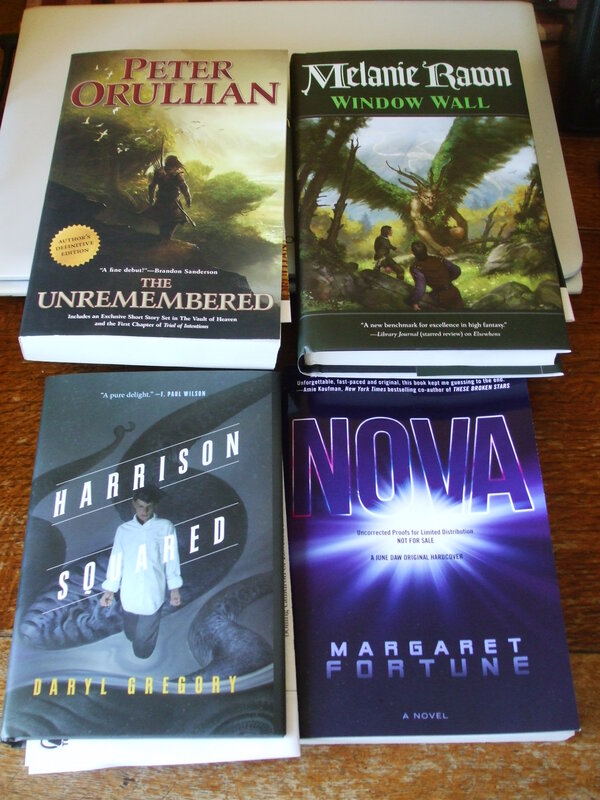 So, courtesy of Tor Books, Peter Orullian’s THE UNREMEMBERED, Melanie Rawn’s WINDOW WALL, and Daryl Gregory’s HARRISON SQUARED. 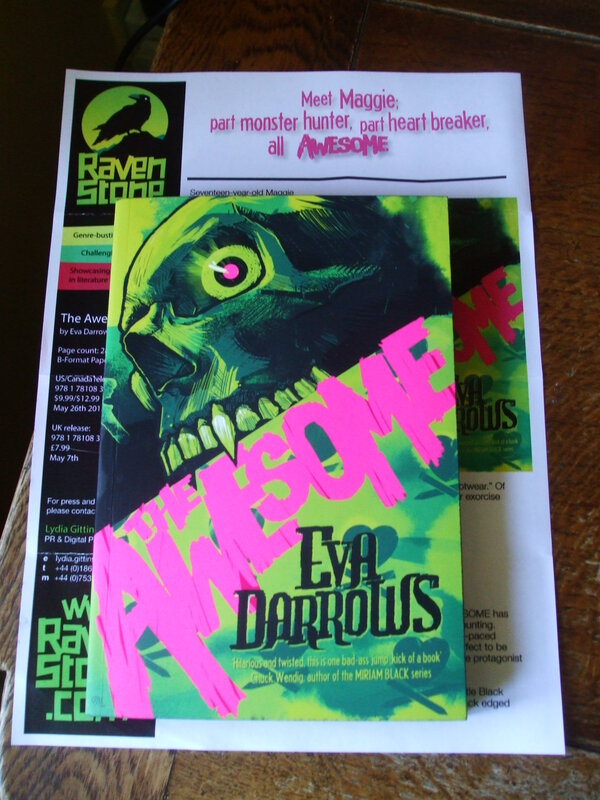 Courtesy of DAW Books, Margaret Fortune’s NOVA. 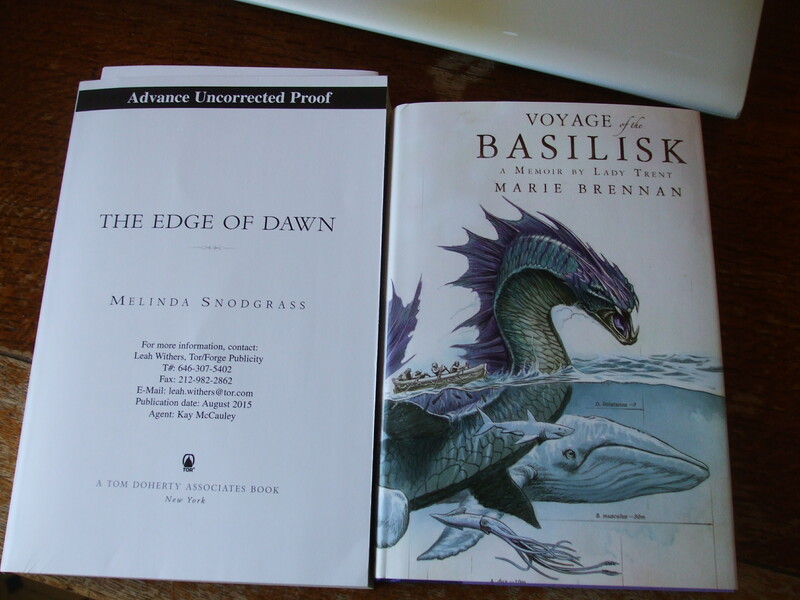 Melinda Snodgrass’s THE EDGE OF DAWN, and Marie Brennan’s VOYAGE OF THE BASILISK. 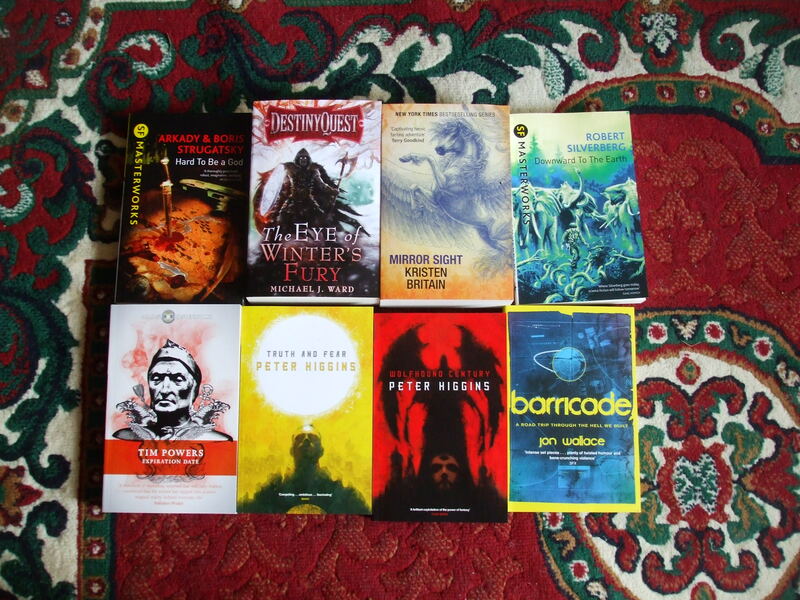 A new column, live over at Tor.com, about books that gave me quite a bit of enjoyment, actually – even if a number of them are actually not all that brilliantly written. It is a bloody awesome radio programme, I want to say. Le Guin is amazing. 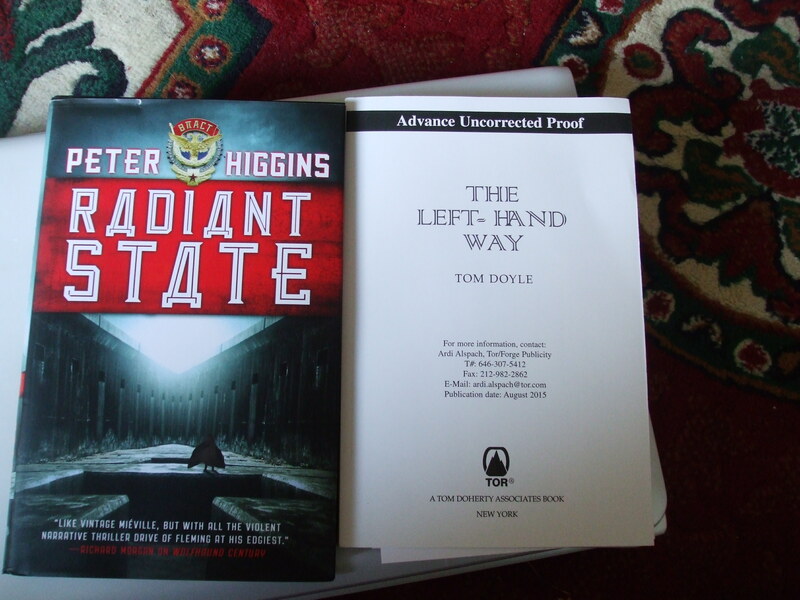 Also BBC Radio 4 will soon be broadcasting radio adaptations of The Left Hand of Darkness and the first three Earthsea books. This is BRILLIANT news. So, curtains are IN this year, right? 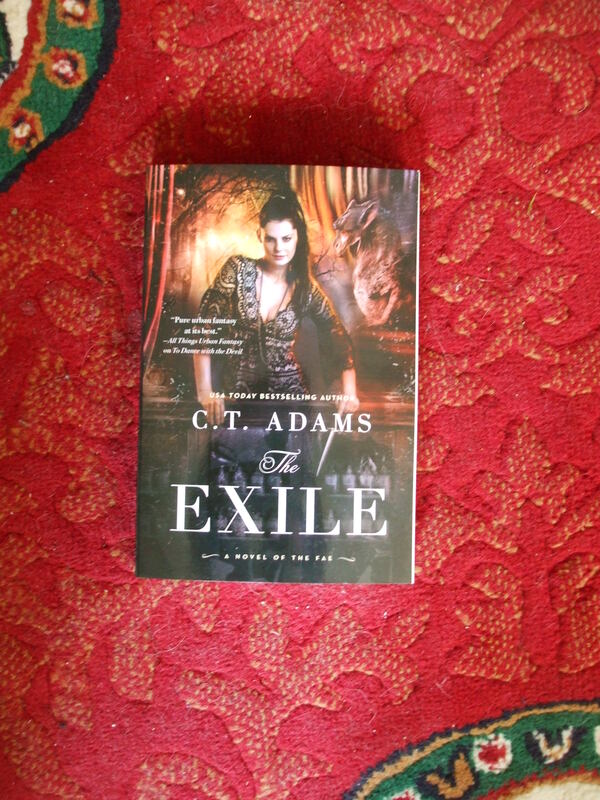 THE EXILE by CT Adams, courtesy of Tor Books. 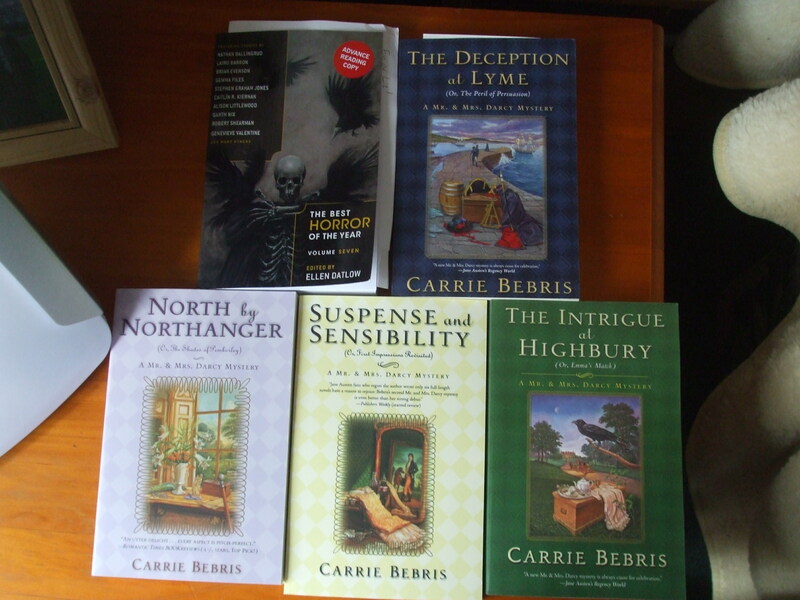 Carrie Bebris’s THE SUSPICION AT SANDITON, courtesy of Tor Books. 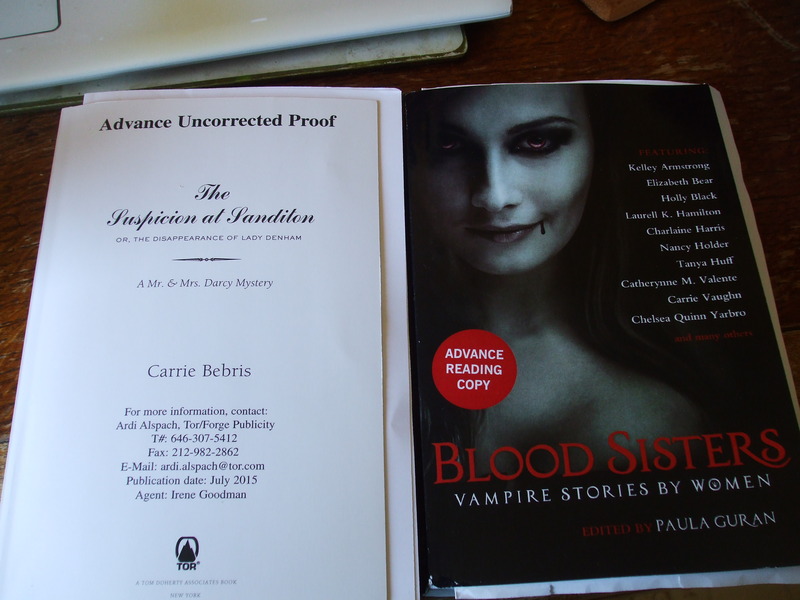 And courtesy of Night Shade Books, the anthology BLOOD SISTERS: VAMPIRE STORIES BY WOMEN edited by Paula Guran.